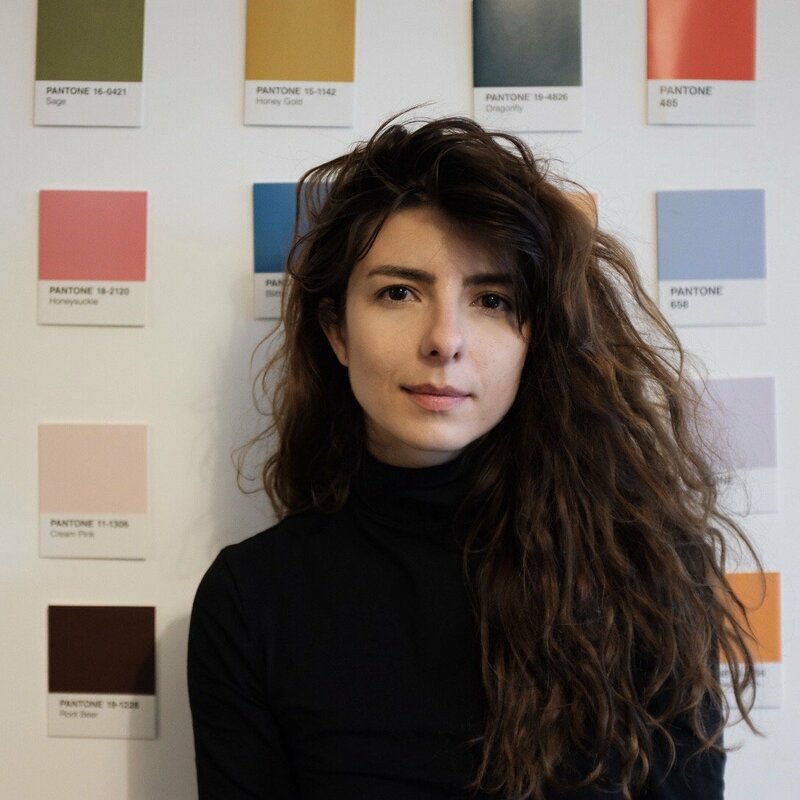 Before the launch of her new collection, we caught up with the COO of the Krea Group, Andra Sandru to talk about their new collection. What is the Significance of Acurrator’s New Collection? Andra Sandru (AS) – We believe memories have a post code and this is captured in the new capsule collection. We have always been best known for our minimalist aesthetic and sustainable approach to creating clothing. Early in 2018, we joined forces with another sustainable brand and started working under the same umbrella: Krea Group. The inspiration for the new collection is urban geometry and we have literally gone to outer space for inspiration – a satellite view if you will. Our latest project celebrates the strong connection that we have with the British capital. 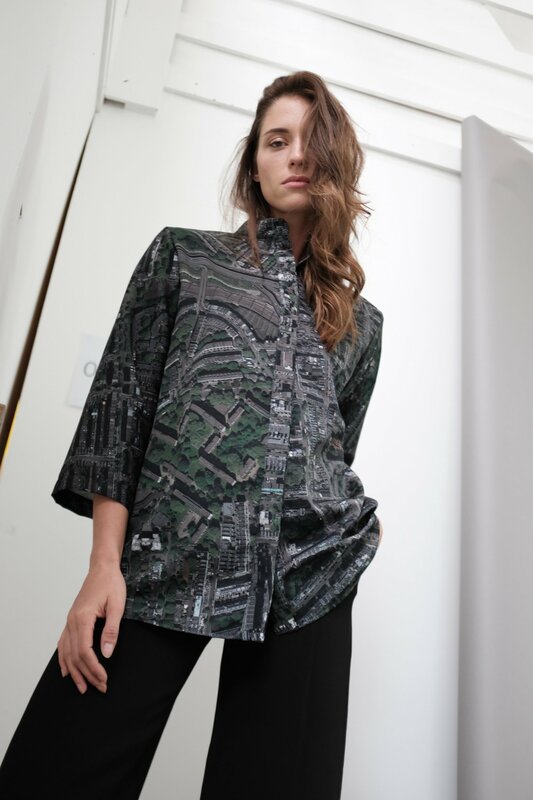 A monochromatic London satellite view is printed on a few pieces of the collection. The original design view is Notting Hill, in London, but any location can be printed – perfect for gifts for the person that has everything. The collection was originally designed with the Notting Hill London area, but can be personalised and printed with any place in the world, making it a unique piece. The premium waterproof jacket is reversible to a neutral navy side, and can be tailored-made to be meaningful for yourself or a special person in your life. AS – I have always loved designing clothes, starting when I was 3. As I grew up I continued to be interested in all things design, fashion and architecture (I have a degree in architecture). When I left university I started importing and distributing clothing and accessories and selling them to both local stores, and selling them through my own outlets. After selling other people’s products for a long time I thought it was time to start my own collection – Acurrator being the result. AS – I love the Knowledge Project by Farnham Street Blog – they have the most incredible guests on the show and always get me thinking. I also wrote my own book (shameless plug) The Six Day Business which distills some of the lessons we learned when starting a distribution business and put them in to a guide that was easy to follow for those wanting to start a business. I also enjoy listening to the Monocle podcast – the entrepreneurship series in particular. It’s essential to keep coming up with new ideas that you can apply to your work. What’s a Good Piece of Advice you can Give our Readers?